An estimated tax is a method used by the United States Internal Revenue Service (IRS) to collect taxes based on individual income not subjected to withholding tax. 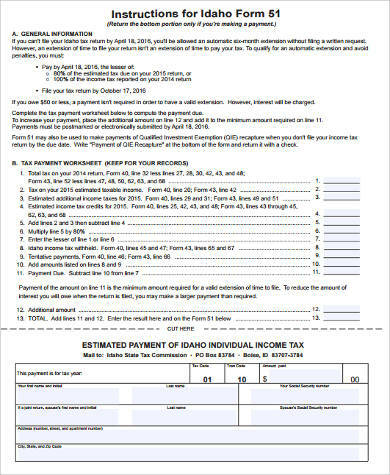 These are taxable income obtained by such earnings as alimony payments, rents, interests, dividends, and earnings from self-employment services rendered. 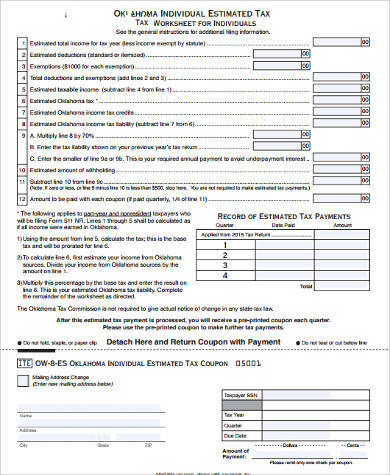 Our Sample Forms include both corporate, business, and individual Sample Estimated Tax Forms that are approved by the IRS as official forms to be submitted for estimated tax. 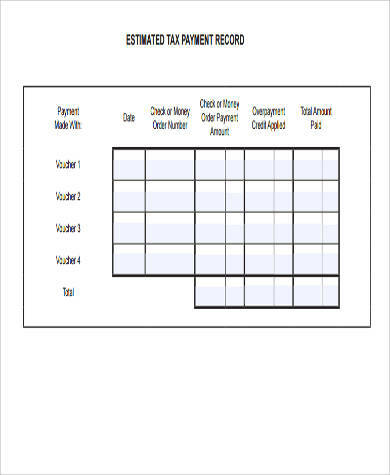 These are all available for download on either Word Doc or PDF file formats and can be printed and used as taxation forms. Partnerships – Business relationship formed between two or more individuals in a co-ownership agreement. Taxes are paid for by the partnership, but profits and losses are divided equally among the partners. S corporations – Closely held corporations where no ready market exists for trading or shares that are owned and managed by businesses and shareholders. 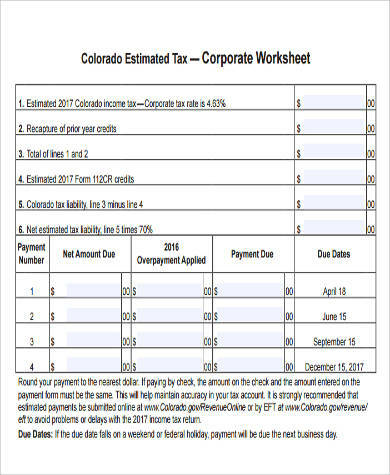 This type of corporation has its income and losses divided among shareholders who must report their income or loss in their own individual income tax returns. 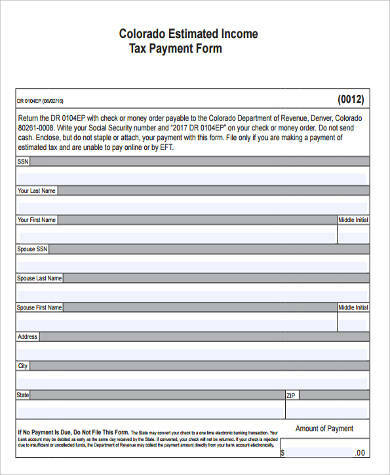 While individuals in a sole proprietorship, partnership, or S corporations have to make estimated tax payments when and if they expect to owe approximately $1,000 or more after their tax returns are filed, corporations meanwhile have to make estimated tax payments if they owe $500 or more when the corporations tax returns are filed. 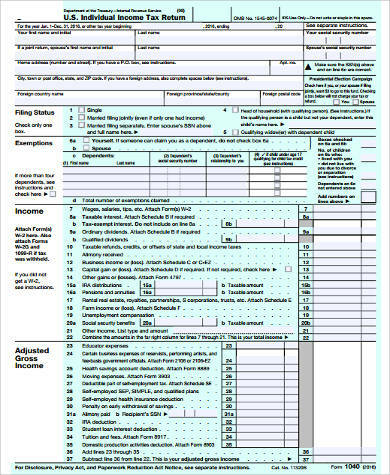 Additionally, we have Sample Federal Tax Forms for most common forms used by the IRS for reporting and paying federal income taxes. These are also free for downloading and printing. Besides the classifications mentioned above, estimated taxes are also used for those whose amount of income tax withheld is not enough or not calculated correctly for salaries and pensions. Estimated taxes need to be carefully scrutinized because the IRS imposes penalties for those who knowingly or inadvertently pay the incorrect amount of taxes either through withholding taxes or estimated tax returns. Penalties are also imposed for those who pay late estimated tax payments even if they are entitled to a refund when their returns are filed. 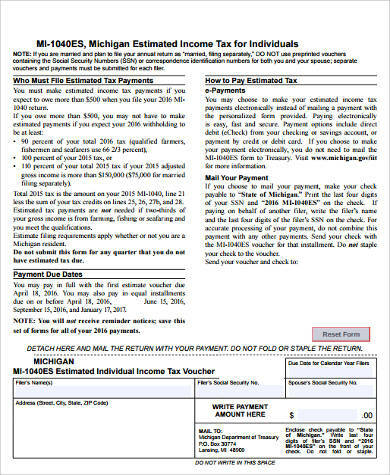 The only possible way to avoid estimated tax payments and their corresponding penalties is for individuals to ask their employers to withhold more tax from their earnings, but who would ever do such a thing if their individual income may not even be enough. Moreover, individuals who had no prior tax liabilities in the previous year or if their prior taxes covered the whole quarter during the previous year can be exempted from paying estimated taxes. 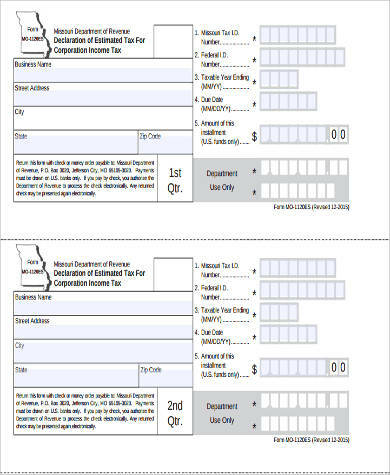 Our Sample Tax Forms cover not only samples of Form 1040-ES for individuals but also Form 1120-W among other things for corporations and other forms for businesses. These are all available in Word Doc or PDF files.